← Is Ukraine in Bible Prophecy? The concept of a theoretically safe method of buying and selling via the Internet is definitely compatible with what we know about the prophesied future, especially during the Tribulation. There will be a one-world government with a common currency controlled by international banks. Bitcoin, or some similar system, could be the medium of exchange for the Beast’s economic dictatorship (Revelation 13). Christians during that time will be killed or driven underground, where they will need some alternative method of obtaining necessities of life. A different version of electronic currency might assist them, but only if Christians have access to an alternative method of electronic communication, since use of the main Internet (or whatever it will be called then) will be denied to them. In the meanwhile, during this current time period, the “beginning of birth pains” (Matthew 24:4-8) – preceding the Rapture and the beginning of the Tribulation–Bitcoin might also allow people to conduct business in spite of oppressive government controls. A limited number of bitcoins are created each year by prescribed methods of “mining.” They have no intrinsic value, but neither does our paper dollar now that it is not based on gold. Ownership of bitcoins is maintained on the Internet and identified only by a complex user number and a safe password. Advocates of the rapidly expanding Bitcoin currency claim that it is safe because of its cyber-encryption but wealth can be stolen if the owner reveals the passwords. The whole concept is extremely volatile at present, and has been misused in a variety of ways that make Christians and conservatives cautious. Some people have become millionaires by using the system, but others have gone into bankruptcy. Nevertheless, it has grown exponentially during its first few years, and an ever-increasing number of businesses, great and small, are accepting bitcoins as payment. Only time will tell whether or not this currency concept will last, and if it does, whether or not it will be used when the Beast imposes the Mark of the Beast and limits commerce to those who have his mark. This entry was posted in Antichrist, Beast, Economy, Eschatology, Mark of the Beast, New World Order, Personal Computers, Revelation, Technology and tagged Bitcoin, Cloud computing, Cryptography, Digital, Peer-to-peer. Bookmark the permalink. One Response to Where Does Bitcoin Fit into the End Time Scenario? 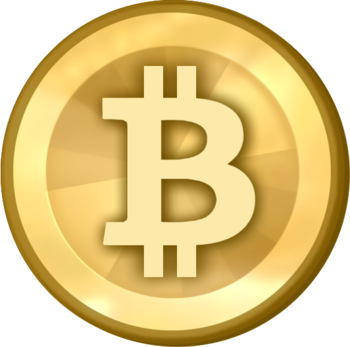 Bitcoin is not controllable by any central authority, and need no banks or bankers. Its ledger of transactions is copied to every computer running a Bitcoin client, which is what every user has in order to maintain their wallet. So it’s the last thing a global government would want, and is in fact a threat to their power. What the Bible teaches about no one being able to buy or sell is that one must prove loyalty to the Beast by bearing his mark. This is the Beast’s ID, not each person’s ID, and it must be taken voluntarily. So neither Bitcoin nor any sort of personal ID is the Mark.